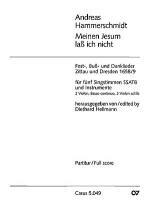 Meinen Jesum lass ich nicht (My Lord Jesus I'll not leave) by Andreas Hammerschmidt. For Soli SSATB, 2 Violins, Basso continuo, [2 Violas]. 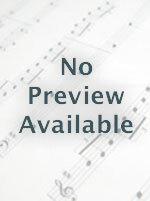 Score available separately - see item CA.504900. Sacred Concertos. Level 1. Part: Violin 2. Language: German. Composed 1658. 2 pages. Duration 4 min. Published by Carus Verlag (CA.504912). ISBN M-007-00697-6. With Language: German. Sacred Concertos.